If you have a loan or credit card with a high interest rate you can refinance into a better loan or, you could move many different payments into one loan and make one monthly payment. Things may have changed since you borrowed money, and several ways may be available for you to improve your loan's terms. Whether you’ve got a home loan, auto loans, credit cards, or other debt, refinancing allows you to shift the debt to a better place. You have an existing loan you would like to improve in some way. You find a lender with better loan terms, and you apply for the new loan. The new loan pays off the existing debt completely. You make payments on the new loan until you pay it off or refinance it. Save money. A common reason for refinancing is to save money on interest costs. To do so, you typically need to refinance into a loan with an interest rate that is lower than your existing rate. Especially with long-term loans and large dollar amounts, lowering the interest rate can result in significant savings. Lower payments. Refinancing can lead to lower required monthly payments. The result is easier cash flow management and more money available in the budget for other monthly expenses. When you refinance, you often restart the clock and extend the amount of time you’ll take to repay a loan. Since your balance is most likely smaller than your original loan balance and you have more time to repay, the new monthly payment should decrease. Shorten the loan term. Instead of extending repayment, you also can refinance into a shorter-term loan. For example, you might have a 30-year home loan, and that loan can be refinanced into a 15-year home loan that typically will come with a lower interest rate. Of course, you can also just make extra payments without refinancing to avoid paying closing costs and keep the flexibility of not being required to make those larger payments. Consolidate debts. If you have multiple loans, it might make sense to consolidate them into one single loan, especially if you can get a lower interest rate. It’ll be easier to keep track of payments and loans. Change your loan type. If you have a variable-rate loan, you might prefer to switch to a loan at a fixed rate. A fixed interest rate offers protection if rates are currently low, but expected to rise. Pay off a loan that’s due. Some loans, particularly balloon loans, have to be repaid on a specific date, but you might not have the funds available for a large lump-sum payment. In those cases, it might make sense to refinance the loan—using a new loan to fund the balloon payment—and take more time to pay off the debt. For example, some business loans are due after just a few years, but they can be refinanced into longer-term debt after the business has established itself and shown a history of making on-time payments. Saving money is an obvious motivation for refinancing, but in at least a couple of specific instances, you'd be wise to look into refinancing a loan. Improved credit score. If you've recently come out of a difficult financial situation that damaged your credit score, you might have a loan or two with a high interest rate. Maybe you lost your job or got divorced or had a medical emergency that left you buried in debt. Maybe you even had to file for bankruptcy. Regardless of the reason, if you had to get a car loan or some other loan while your credit score was low, your interest rate will reflect that. The good news is that once you've improved your credit score, you likely can refinance those loans at a significantly lower rate. Home renovation/addition. If you have a lot of equity in your home, you can reinvest that equity in your home to make some long-needed repairs or just to renovate the property with an additional room, a swimming pool, or whatever you desire. Assuming your credit is good, you can do what is called a cash-out refinance. Let's say you purchased a home for $250,000 and it now has a market value of $300,000. When you took out the mortgage, you made a down payment of $50,000 and you've paid another $50,000 toward the principal. That means you owe $150,000 on a home with a market value twice that amount. If you need $25,000 for home repairs, you could refinance your mortgage for $175,000. The $150,000 you still owe on the current mortgage would be paid off, the extra $25,000 would be paid to you, and you'd have a new payoff amount of $175,000. Depending on available interest rates and the length of the new mortgage, you might even be able to lower your monthly payments with this kind of transaction. Refinancing is like shopping for any loan or mortgage. First, take care of any issues with your credit so that your score is as high as possible. Then decide which method of refinancing is right for your situation. An FSB credit card has no balance transfer fee.This type of credit card allows you to transfer all your other credit card balances over to it for no fee. Some cards can charge as much as 3% of the balance being transferred, so depending on your balance this could be a significant savings. Spend a little too much over the holidays? 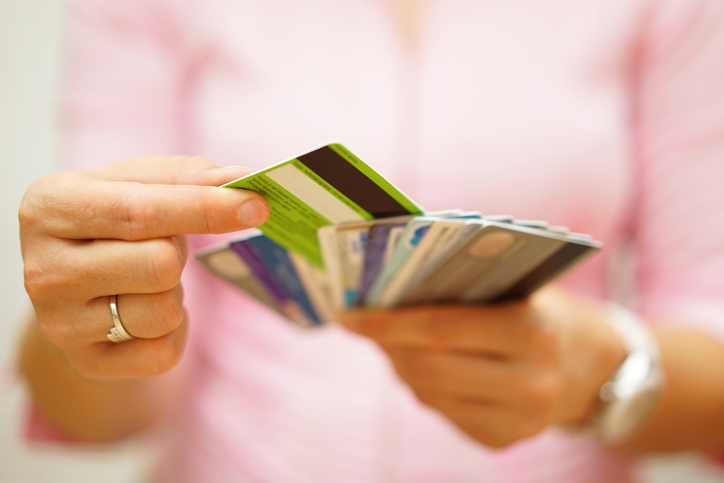 Roll those high interest store cards into one payment with lower interest. Depending upon you credit score, an FSB credit card could cut your interest rate in half. ‍If you’re a homeowner, you can take out a loan or line of credit on the equity in your home. A home equity loan is a lump sum loan with a fixed interest rate, while a line of credit works like a credit card with a variable interest rate. You can use that money to pay off your credit cards or other debts. Not sure which method is right for you? An FSB Lender would be happy to crunch the numbers and help you make the best decision based on your personal situation.